Mon…..Jan 31, 2011……cool, cloudy, and breezy this morning we are headed up to the hills. 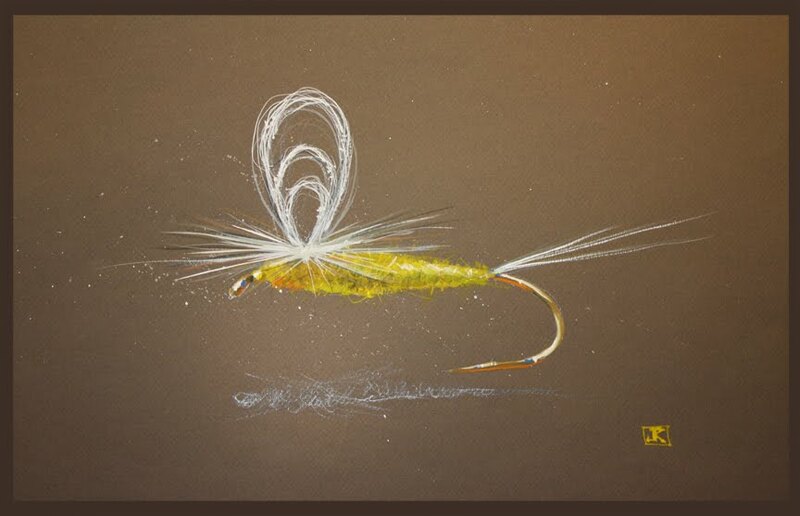 Looking forward to a great day today, guiding Scott Larsen today…..we will be fishing some new bead head patterns. Looks like some rain will be moving in later and that will only help us. Will post a report from the water later today…..have a blessed day. Great Weekend for Being Outside……. Sat…..Jan. 29, 2011……Incredibly warm weather, hard to believe its as warm as it is given all the cold weather we have had. Great weekend to be outside, many attended the Fly Fishing Show in Raleigh,NC. Taking the weekend off out of town to be with my father who is very sick. Wed….Jan. 26, 2011……..Good morning, hope your day is off to a great start. We had a banner day yesterday in some pretty nasty conditions. Guided Jim Beeson and Steve Batts in it and it was about the most unusual combo of nasty weather and great fishing you could have come up with. Our day started with heavy rain, ditches on the way to the river running high or high and red. A real mess, then it turned really cold and windy with rain/snow mix then to all snow….ending with light snow flurries. But the fishing was on fire. 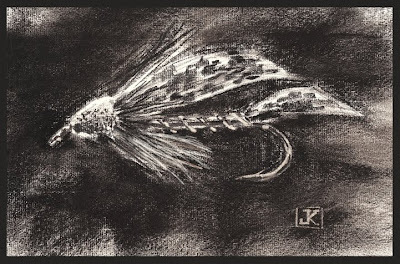 I did what I always do when its like this, with the flow we fished heavy and on the bottom and with a two fly rig one large bright fly and a smaller bright dropper. It was the right prescription. 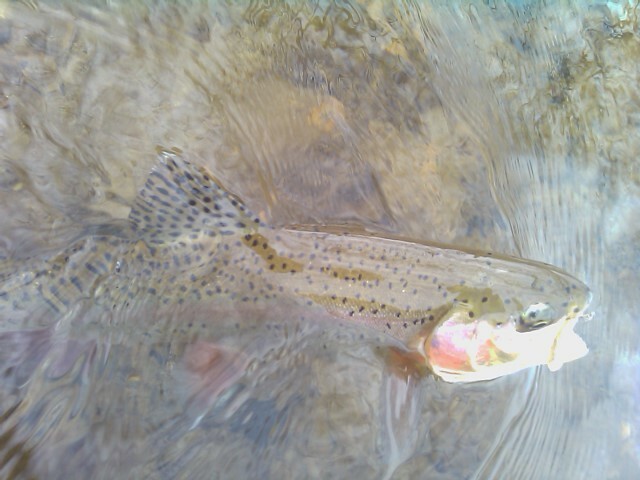 First spot I put Jim on within 2 casts he was into a 20inch plus rainbow that he eventually would land. It was Steve’s first day flyfishing and he caught a fish on his first presentation. He would follow that with 7 more from that long riffle and would eventually finish with 28 fish and end the day with a 20inch citation rainbow of his own. Jim would go on to land 30 fish of his own, and all total 50 or 60 fish in what most would consider horrible conditions. The two standout nymphs were the Purple Haze and Blue Ice Bead Heads, we killed them on these and the largest fish of the day ate one. 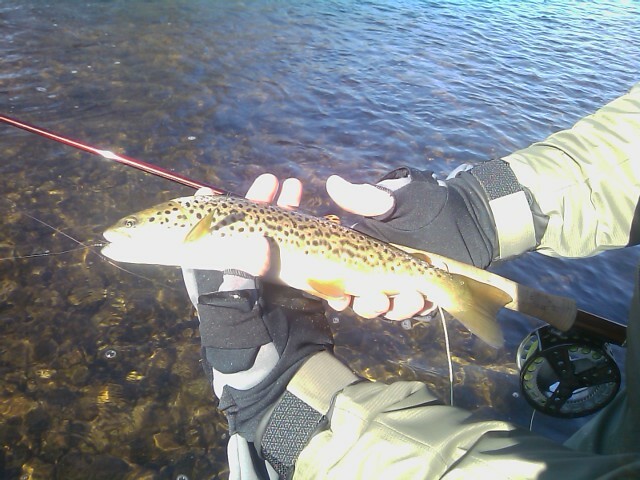 And we enjoyed this and saw’0′ other anglers. 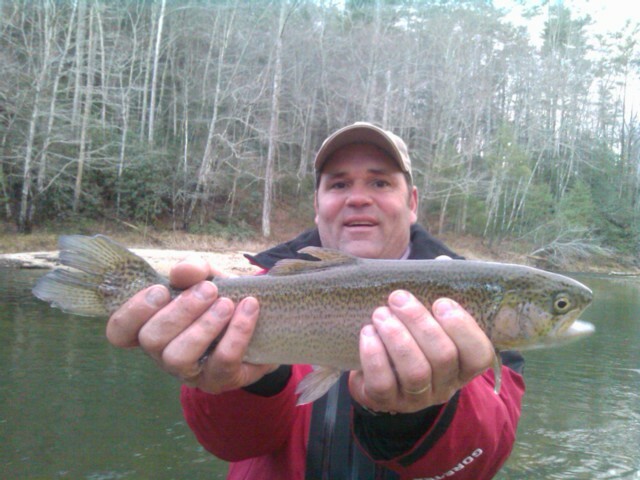 The conditions are improving, a good many waters are high but most are fishable. 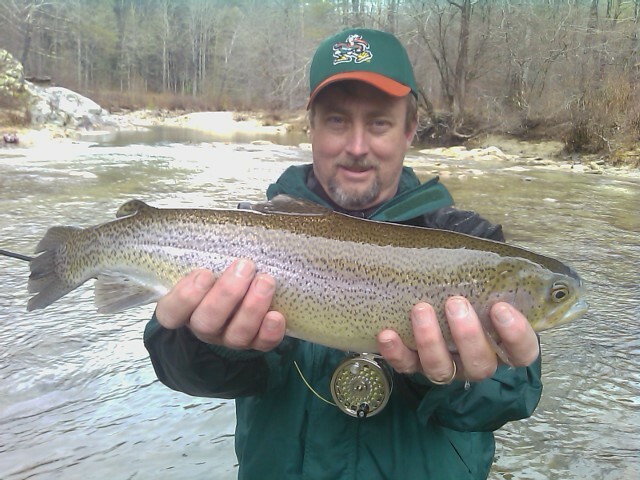 Should be a great fishing week…..
Great Day of Dry Fly Fishing……. Mon….Jan. 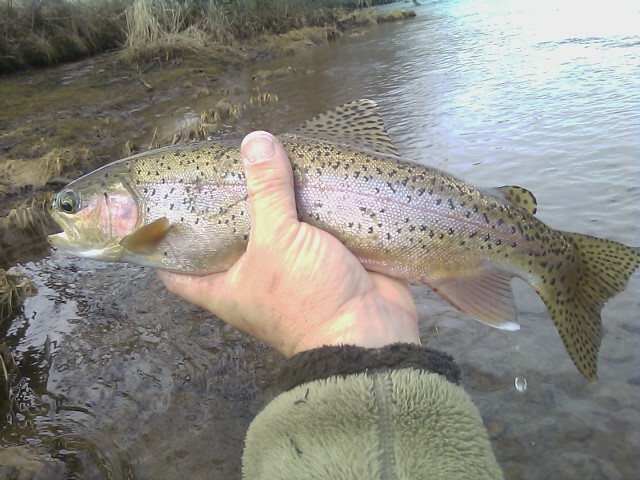 24, 2011……..Great afternoon of dry fly fishing, the blue winged olives came off as anticipated and we smoked’em pretty good. 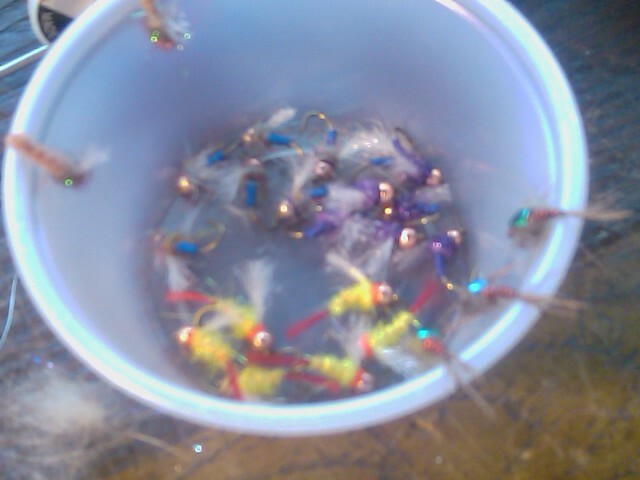 Used a variety of emerger patterns—did really well with one of my bwo sparkle tail patterns. 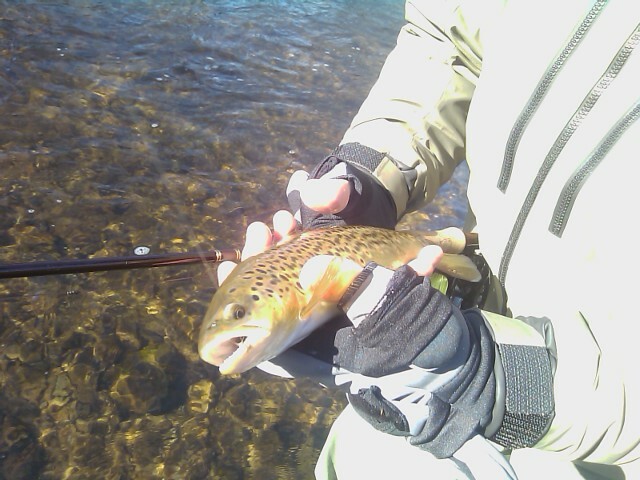 We landed about 40-50 fish and all on dry flies. Was on the river with Wayne Vaughn, Rick Trautman, and Brad Ball and it was a blast. 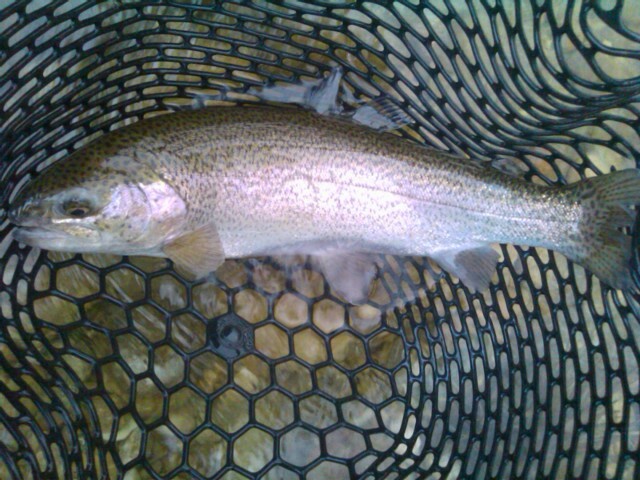 The generation schedule was a little wacky but the water was down by shortly after noon……perfectly timed for the hatch. We caught all our fish on #20/22’s except for a brief sulphur flurry. With that we had some success with a cdc sulphur pattern. It was a great day. 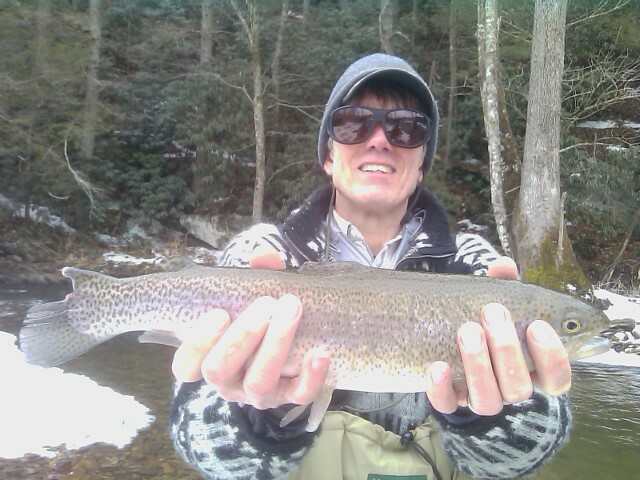 Looks like February is upon on us, have a few openings for folks wanting to get rid of the cabin fever and enjoy some fantastic TN Winter Dry Fly fishing and some winter hatches……I can put you on it. Mon….Jan. 24, 2011…….headed up the hill and its snowing like crazy, testing out some new flies, headed through Mitchell and Avery county where its snowing in a major way. Will fish on the NC side this morning, then we will be heading over to TN to catch falling water and hopefully a blue winged olive hatch. Am on the water today with Brandon Ball, Rick Trautman, and Wayne Vaughn. Should be a great day….More to come!